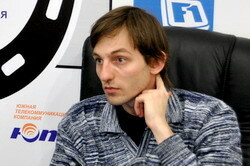 Alexander Grischuk: I like rapid chess and blitz very much: it is interesting either to play or to watch. I do not see any problems in creating more championships of this kind. It is a mystery for me why such tournaments are organized less than normal ones. Pavel Eljanov: Quick chess is interesting due to its dynamics. I think it would be great if there would be organized a rapid chess world championship. It is much more interesting for me to play quick chess. But I think that the blitz is not serious. Vassily Ivanchuk: Yes, I like blitz tournaments. I also like rapid chess but it does not mean that I don’t like playing classical chess. I welcome both kinds of chess I can’t say that I prefer one specific kind. If a rapid world championship would be organized, I would probably take part in it. Levon Aronian: Frankly speaking, most of all I like Chess960 (Fischerrandom) chess. I wish there were more 960 tournaments. I think there are enough rapid and blitz tournaments. Sergey Karjakin: I like quick chess. Opening theory is not of great importance there as it is in classical chess. By the way, I’d like to mention that I consider Vassily Ivanchuk the world blitz champion, because he won the “Tal’s Cup” last year. Almost everyone could be selected for this game, and there is not any sport selection for the so-called world championship. I consider the “Tal’s Cup” the world blitz championship. Evgeny Alekseev: Classical chess acquired its reputation a long time ago. Blitz and rapid chess are of minor importance, I have to admit. Peter Leko: It is good that there is a world blitz championship, and it would be much better to have an official world rapid championship too. The three branches should not be mixed; the more time is allowed for the game, the more important the tournament is. But many people are now interested in blitz and in rapid chess. Boris Gelfand: All the three branches are very interesting and attract the spectators’ attention. And I participate in tournaments of all kinds with great pleasure. It is better to have more tournaments with any kind of control. I think that there should be three fixed branches: rapid, blitz and classical chess. Each of them has its advantages. To mix them is an absolute nonsense and even crime against chess. Classical chess has deeper games, quick chess is more entertaining, and blitz game checks your reaction. And such an outrage as the FIDE time control, when you are given an hour and a half for the whole game, should remain in history and should not be returned to. Rustam Kasimdzhanov: I like to play both blitz and rapid chess. We, chess players, are always glad to take part in some good contests. Probably, if there were more of such contests, it would be easier to play, because classical games demand not only the game itself but you also have to work hard preparing for and during the tournament. And it is much more relaxed and pleasant when you play rapid chess and blitz.